Google will let users control their home appliances from smart speakers. Google will integrate its virtual personal assistant (VPA) technology, Google Assistant, into a range of speakers and home appliances. This will allow users to control their fridge, vacuum, washing machine, kettle, or any electronic device, using their voice from any device with Google Assistant - this includes a range of smart speakers and smartphones. The tech giant says a number of manufacturers will announce the incorporation of the technology this week during IFA 2017, which is set to start tomorrow in Berlin. IFA, or Internationale Funkausstellung Berlin, which means 'international radio exhibition' in German, was started in the 1920s. The annual show was originally set up to exhibit the latest in radio technology. It has since shifted focus and now showcases the latest consumer tech products and home appliances. "From the start, we've believed your Google Assistant should be available wherever you need help, and that's why it's already on Google Home, eligible Android phones, iPhones, Google Allo and Android Wear. This week, we're continuing to make your Assistant available in even more places," says Abhi Taneja, Google senior director for Google Assistant. Taneja says starting later this year, manufacturers like LG will let users control their appliances, including washers, dryers and vacuums, from their Google Assistant on their smart speaker, Android phone, or iPhone. Users will be able to ask their washing machine to wash their clothes, or ask their kettle to start boiling, or check on their dryer's progress, from anywhere in the world through Google's VPA. 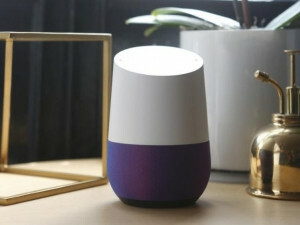 Last year, Google unveiled its WiFi-connected home speaker, Google Home, entering a market already dominated by Amazon's Echo. Other players, such as Apple and Microsoft, have subsequently released their own devices. However, Google does not want its VPA technology limited to only Google Home. The company says a number of other sound companies will announce its integration into their devices, including the Zolo Mojo by Anker, TicHome Mini by Mobvoi and the GA10 by Panasonic. Users activate the speaker by saying 'OK Google'. They can then can ask it questions, add appointments to calendars, set reminders, order food, play music and control smart home devices. The company says Google Assistant will work the same across all speaker brands. It will be able to distinguish the user's voice from that of a roommate or partner, and answer contextual questions, such as "Where is the Eiffel Tower?" followed by, "How tall is it?" These speakers will come out later this year and while availability may differ by device, most will be available in the US, UK, Australia, Canada, Germany and France.